To grow your business, you need a plan. And every business plan starts with how to find and reach prospective customers. Once you’re established, you may find the best new customers come from direct referrals of existing customers. In lieu of direct referrals, cold calling is arguably the most effective way to jumpstart any sales enterprise you’re launching. Cold calling is the art of contacting someone you’ve never met to gauge interest in a product or service. Business-to-business or B2B lead generation produces pre-screened potential business customers for your company. Qualified hot leads often convert to lucrative business deals. And while you may enjoy the spaghetti-on-the-wall approach to conversion — basically, throwing enough of it at the wall to see how much of it sticks — figuring out which calls can be converted into sales requires a modicum of insight into the psyche of human behavior. You must keep re-evaluating your efforts at every phase. Only then can you reap the maximum benefits from your sales funnel strategies. In any social or business setting, an introduction grants you an entrance into the conversation. Cold calling provides that introduction. Cold calling allows you to introduce yourself and explain what your particular brand is all about. Cold calling puts the human touch on your sales process. In sales, introductions are how you get from awareness to interest. Cold calling can generate awareness, qualify your leads and develop interest. For B2B companies, cold calling delivers B2B lead generation. If your products or services solve a problem for the person you’re calling, you’ve found someone who’ll listen and ask questions. 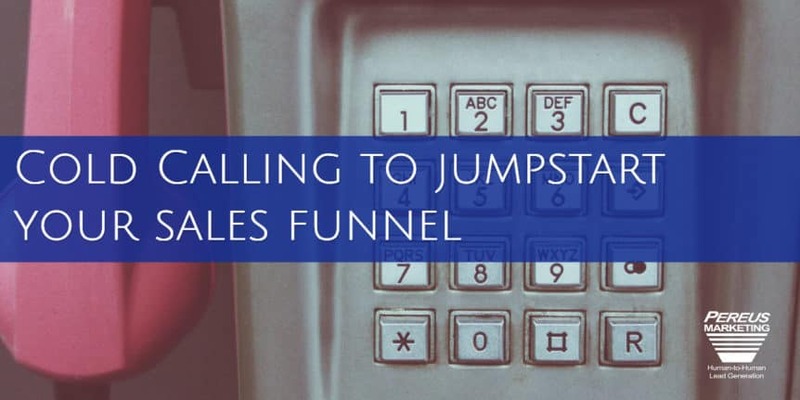 Your sales funnel can benefit from a successful cold calling campaign. Hot B2B lead generation attains your appointment setting goals. Those connections aren’t sales yet, but they’ve entered your sales funnel. Now it’s up to the closers in your company. With the internet at your fingertips, B2B lead generation is possible through a number of techniques, from email marketing to blogging. But cold calling doesn’t involve waiting for interested prospects to come to you. B2B lead generation is produced by approaching prospects directly. 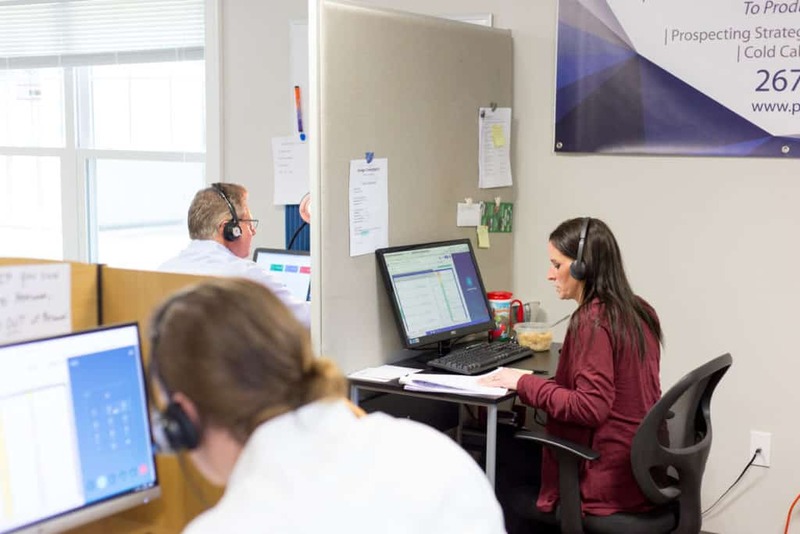 Since most people are uncomfortable calling strangers, cold calling companies like Pereus Marketing can take the burden off you and your team. Get the full name and title of the person in charge. Keep your calls concise and to the point. Find out what information they might need before making the call. Always push for distinct commitments, whether for appointments or sales. Cold calls don’t always lead to an appointment or a future business deal. But every failure brings success one step closer. Successful businesses know how to use cold calling and other marketing techniques to keep the sales funnel full of leads. Pick a time and place that’s suitable for your prospect. Send a reminder the week and the day before your appointment. Make the appointment process easy to set up. Keep all the documents and product information handy for easy reference. If the lead comes to your office, make sure everyone knows. Give the lead one contact name to avoid confusion. With appointment setting out of the way, you can concentrate on your presentation. You must persuade your lead that your brand offers the best solutions to their issues. Make a lasting first impression to earn a sale now and to develop a future business relationship.